Service of process is an important part of any lawsuit; however, it requires much more attention in an international law case. Ensuring that service of process is done correctly given the particular facts of your case is critical to its success. Here’s what you need to know about service of process and how it can impact your case. 1. What Is Service of Process? Legally defined, service of process is the method of delivery of a “writ, summons, or other legal papers to the person required to respond to them.” For example, a summons that is delivered to an individual that compels them to respond to the claim or appear in court is service of process. 2. Why Does Service of Process Require Special Consideration in an International Law Case? In an international law case, service of process matters very much. Not all countries accept the same forms of service of process. In order to ensure that your service is successful, the service of process must be done correctly and according to the requirements of the specific country or countries in your case. However, under the Hague Service Convention treaty, parties can opt out of certain forms of service of process if they choose to. If you use service of process that a particular territory has opted out of, it may result in a failure to serve. This is why it is so critical that you work with a law firm that is well-versed in international service of process. 3. What Should a Person Do If They Are Served? If you are served by an international party, it is important to evaluate the way service of process was made in order to determine if it was legitimate. If the party who served you did not perform service of process correctly according to your territory, you may be able to have the service of process rendered invalid. Mark Dunaevsky is a veteran international law attorney who is well-versed in international service of process. He can help you perform service of process correctly, or determine if a service of process was proper and valid. 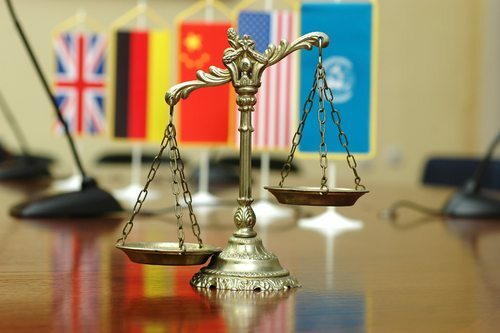 Contact Attorney Dunaevsky at the Foreign Service Law Office today to discuss your case.